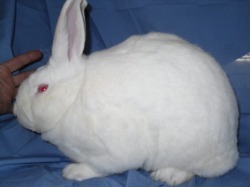 Hall of Fame - INVICTUS RANCH RABBITRY-Where we have lotzabunnies! Here are some of our winning bunnies and their proud owners!! Natalie Driskell & IR Bippy!! 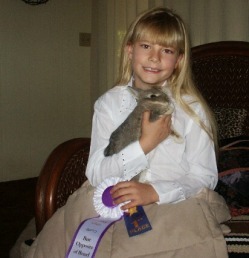 Palmblad's I-15, now owned by Invictus Ranch Rabbitry, won Best of Breed in Show B, PearBlossom RBA, Central Point, OR 4/10/2010 at 4 months old! He achieved 4 legs in 3 shows and is a grand champion now!